So there’s now information about the SoC and/or memory usage. Albeit it looks very much like Geniatech ATV120, powered by AMLogic AML8726-MX dual core ARM Cortex A9 SoC, the hardware must be different because it supports Bluetooth 4.0 and 802.11ac. I haven’t seen the later any other mini PCs in dongle form factor. The company has also designed their own user’s interface, and added DRM support to the firmware. The device will be sold with a USB Cable, an HDMI Cable, a Remote unit, and an IR blaster cable once it becomes available in Q2 2014. 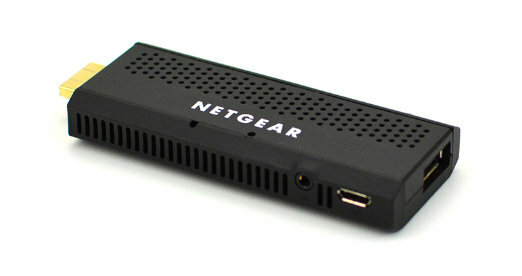 Further details may vbe available in NETGEAR NeoMediacast page. I met with Netgear at CES, and this model is NOT going to be available in retail. It will be sold to service providers (like AT&T / Comcast in the US). Also, this model will be bundled with a home gateway (which will have a hard disk — functionality very similar to that of a DVR). The hope is that, in the future, service providers will be able to give consumers multi-room functionality by having a DVR in a central location that doesn’t necessarily need to be connected to the primary TV. In addition to the NTV300D, a NTV300M was also on display – same hardware, but in a form factor similar to the traditional OTT STB (like the Roku, just a small box). To get 802.11ac you need either USB 3.0 or PCIe. Since there are no USB 3.0 ports PCIe is most likely. Freescale iMX6 has PCIe. It could also be one of Qualcomm or Broadcom SoCs that integrates 802.11ac. Do you guys know what the launcher is? I think it’s called something like Win8 UI. Isn’t that recently introduced “Geniatech Metro Launcher”? Can anybody with ATV1200, ATV120 etc. tell me what it looks like? It was introduced to Genitech’s Android images in August last year. What is Over-the-Top (OTT) content??? 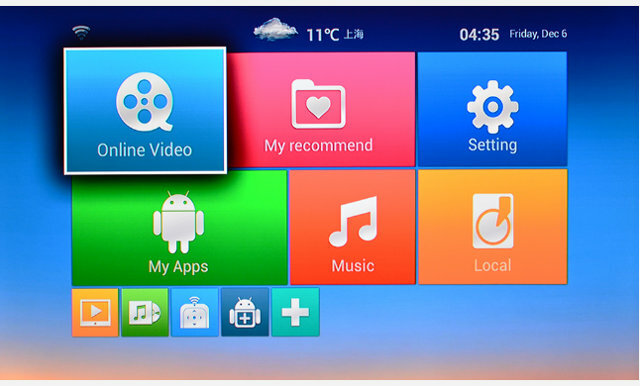 @onebir OTT may be what the original Google TV did. It had HDMI in and HDMI out. So it was able to overlay apps onto a corner of the screen while watching live TV. You could be watching a live show and have an active Twitter window in part of the screen. Almost all cable boxes do this. When I access the program guide on my cable box the live TV is still shown in a small inset window. Yes, Over-the-Top is when you combine a TV channel with data from the Internet of other sources overlaid on top of the video.